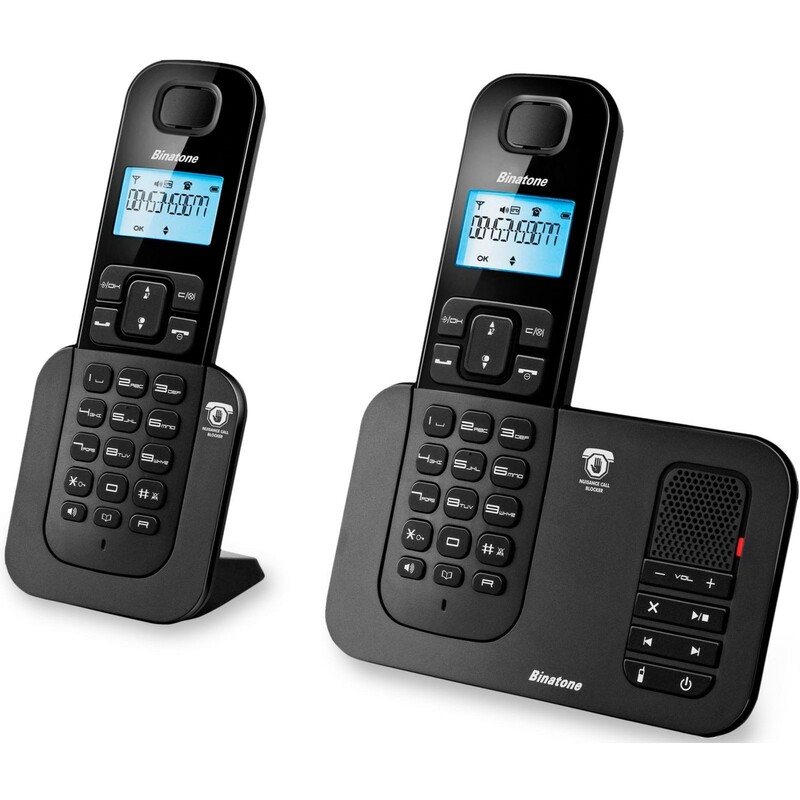 Sporting a simple set of controls, a digital answering machine and a nuisance phone call blocker, the Binatone Shield 6025 is a stylish cordless phone for your everyday needs. It is compact and easy to use, and it provides a large phonebook and a range of other useful, value-adding features for simplified call and voice mail management. 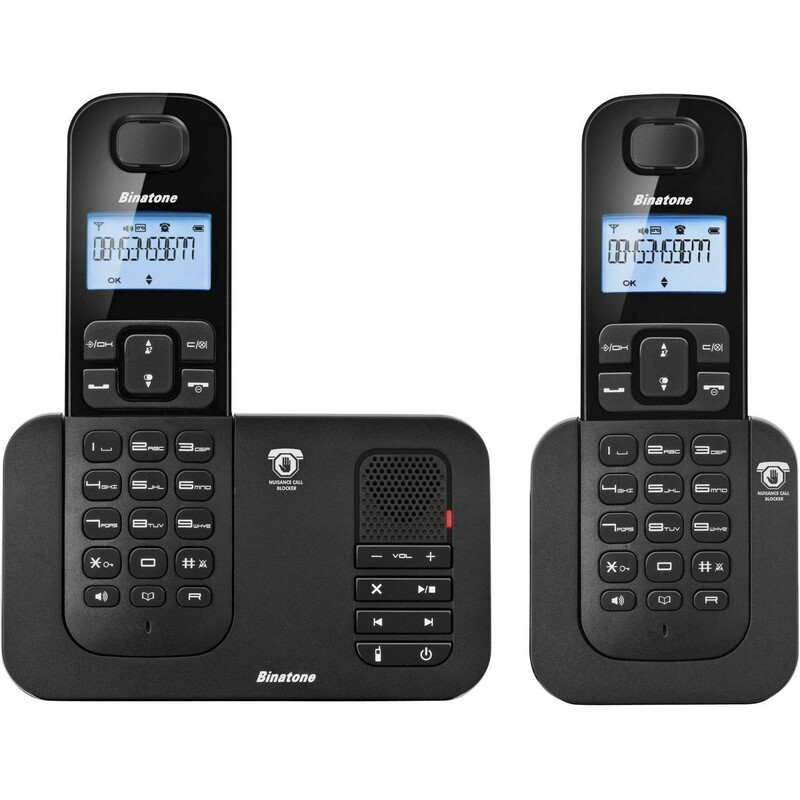 The Binatone Shield 6025 provides everything that you need to make unwanted phone calls a thing of the past, provided that you are subscribed to the Caller ID service from your landline provider. 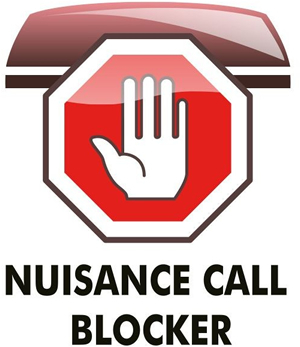 A very flexible feature, you can block calls from international or withheld numbers as well as from specific numbers that you add to your caller blacklist. It also features a do-not-disturb mode, or you can have the phone automatically block all incoming calls from numbers that have not specifically been added to your whitelist. Offering convenience and ease of use as well as the added benefit of an answering machine recording up to 15 minutes of voice messages, the Binatone Shield 6025 is ideal for everyday home use. This bundle ships with an additional handset.